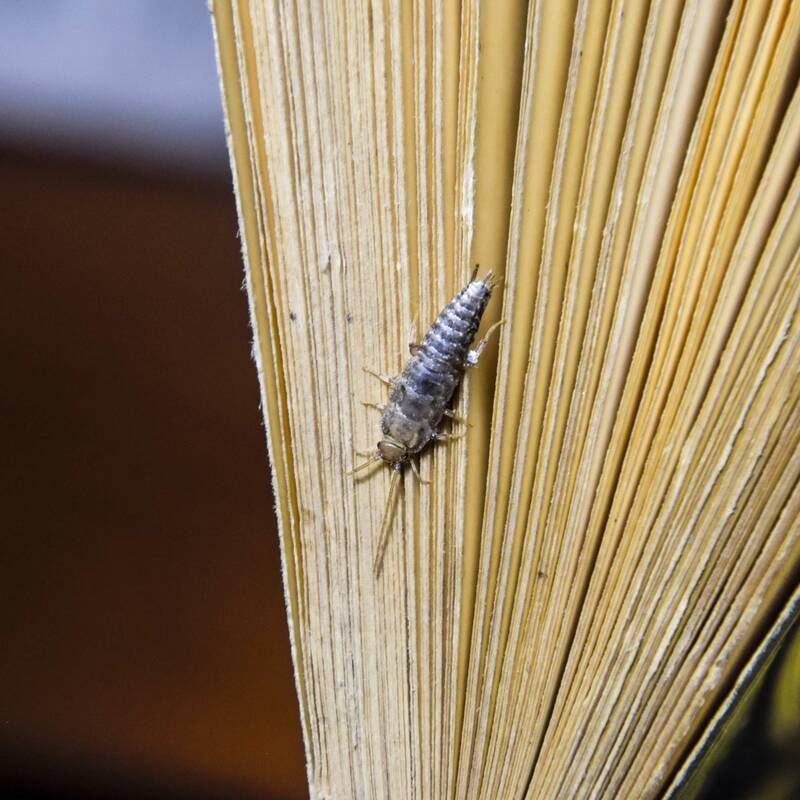 Silverfish, also known as springtails, are silvery-gray insects that enter houses and infest areas where starchy materials are stored, including clothing, cardboard boxes and your favorite books. You may find these common pests in bathtubs and sinks because they are unable to climb smooth surfaces. However, they are nocturnal insects, so you may not notice them until the damage is done. Silverfish can be difficult to get rid of and you may need to use a variety of tactics to get the upper hand. 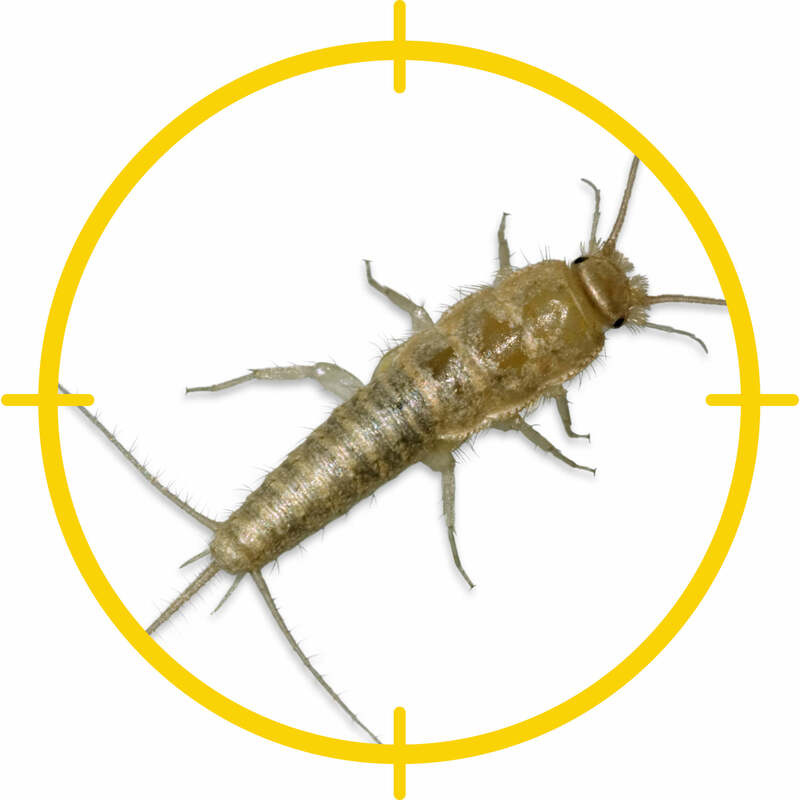 Spray a residual insecticide labeled for silverfish around the exterior of your home. Spray around doors, windows and other entry points, as well as moist, dark areas like attics and crawl spaces. Repeat every three weeks until the pests are controlled. Commercial traps are useful under heavy appliances and other dark, damp, hard-to-reach places. Some traps are non-toxic, but those containing pesticides should never be placed where they are accessible to children and pets. 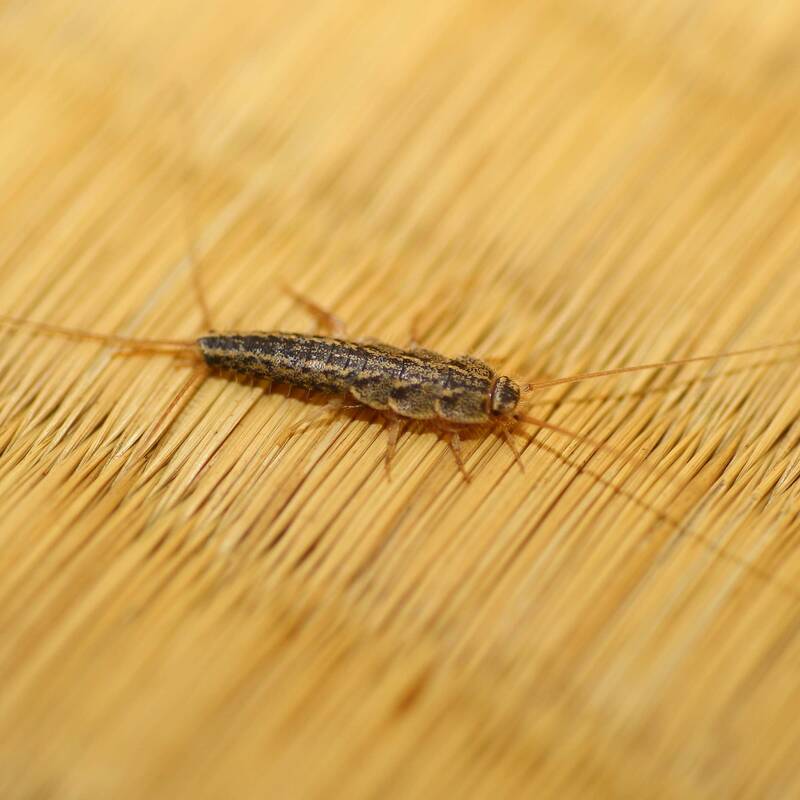 Pyrethrin-based sprays or aerosol insecticides are effective if you find live silverfish. You can also spray into cracks and crevices and around doors and windows. Apply an insecticidal dust behind large appliances, along baseboards, under cabinets and other hidden areas. Inspect goods coming into your home, especially second-hand books. Keep dry food, including pet food, in airtight containers. Vacuum carpets and upholstered furniture frequently. Consider a dehumidifier to reduce the moisture content in the air, especially in closed rooms. Fans and air conditioners are also helpful. Don’t allow dirty dishes to pile up in the sink. Store books, magazines, newspapers and vintage clothing in airtight bins. Repair or re-glue peeling wallpaper. Silverfish are attracted ti the paste.